Sprint's LTE Plus is now live in New York City, giving Sprint customers in the Big Apple a faster and more reliable cellular signal. With the addition of New York City, Sprint's LTE Plus is now available in 191 markets in the U.S. According to the nation's fourth largest carrier, it now provides the fastest 4G LTE download speeds in New York City. Certain devices are able to take advantage of speeds in excess of 100Mbps. To achieve this, Sprint uses two-channel carrier aggregation to widen its LTE pipelines in the city. With carrier aggregation on more than 900 2.5GHz cells sites, more traffic can zip through Sprint's pipelines at a faster speed. And Sprint's smart antenna system uses a technology known as beamforming. This sends out a more focused, directed signal to Sprint customers. LTE Plus offers Sprint's tri-band service. The 2.5GHz band provides speedy data speeds, 800MHz offers stronger indoor coverage, and 1.9GHz provides broader coverage. 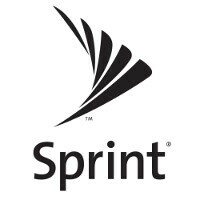 Sprint is still offering AT&T, Verizon and T-Mobile subscribers the opportunity to have their current bill cut in half by switching to Sprint. And not only will Sprint pay your switching costs up to $650 per line, it currently offers a 30-day money back guarantee. So what are you risking by testing out Sprint's LTE Plus service in New York? In competition with Sprint's own 3G network for faster speeds. San Jose, CA is supposed to be LTE plus and still it's always stuck on 3G. Way to go Sprint. Where is a listing of all the LTE Plus cities?